I never kept the Yom Kippur fast before I became religious…It felt way too hard to keep, and I didn’t really even try (the one year I did actually try, during my sophomore year of college, I ended up breaking Yom Kippur by eating a big mac on Yom Kippur morning!) 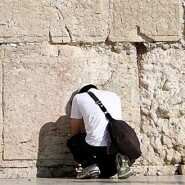 So I find it awe-inspiring to hear about the self-defined “secular” Jews who restrain themselves and manage to keep Yom Kippur. 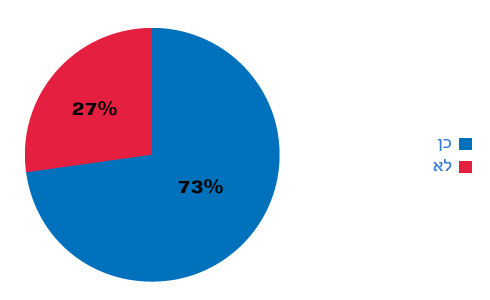 73% of all Israelis fast on Yom Kippur. Why do Israelis fast on Yom Kippur? 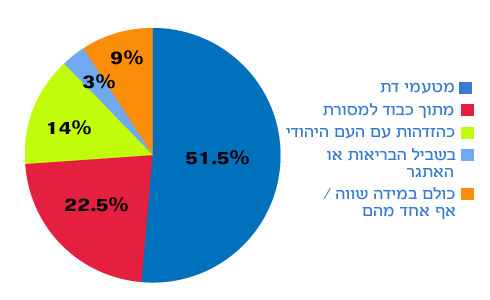 46.5% of self-described “Secular” Jewish Israelis fast on Yom Kippur. Why? And if I would ask you to guess which Jews are more likely to fast– young people or old people, then you would probably think the older Jews, right? Nope, WRONG! Between the ages of 18-34: EIGHTY FOUR PERCENT fast! Which reminds me of a person I saw on the bus today…A kippah-less high-school student, wearing jeans, a fluorescent orange Jack Daniels T-shirt, carrying a black velvet tefillin bag under his arm. More proof that Jews are often not nearly as far away as they seem to be at first glance.